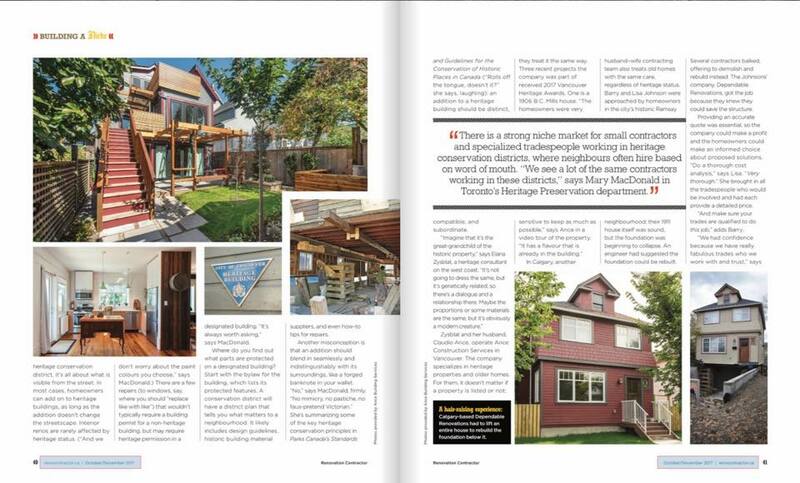 Dependable Renos Featured in October 2017 Renovation Contractor Magazine! 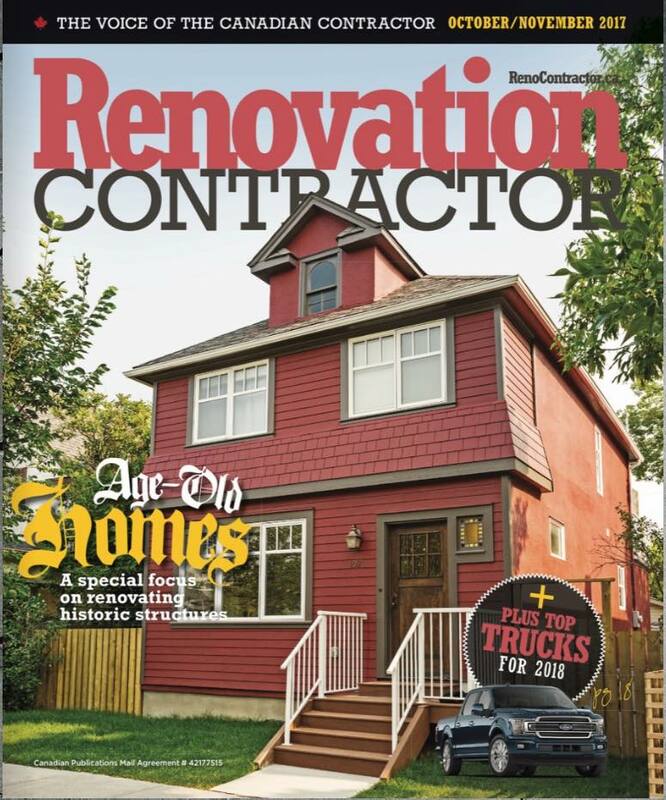 We are SO excited to be featured on the front page of the October 2017 Renovation Contractor Magazine! 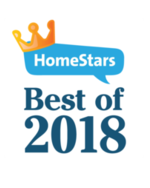 This is a National publication that promotes quality and integrity in the contracting industry throughout Canada. 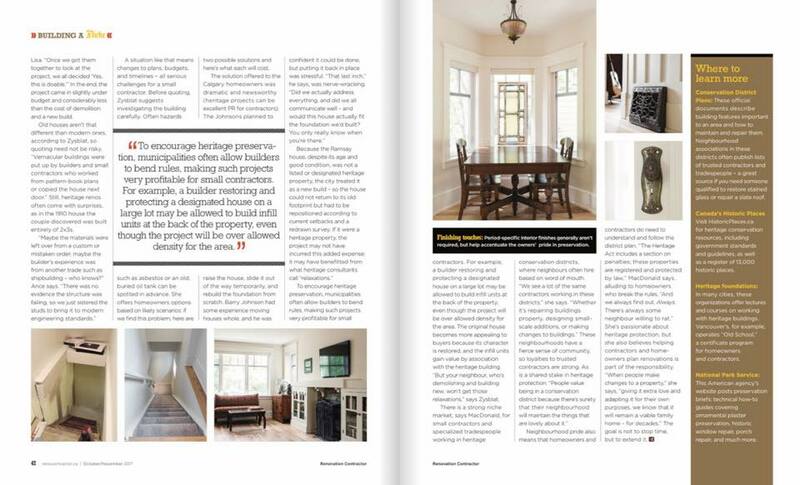 Our Ramsay Project is featured on pages 41/42/43 in an article discussing the work contractors like us are doing to preserve heritage homes. We LOVE the historic finishes that were implemented back into the home – it truly is such a unique project and we’re so grateful for the opportunity to do something like this.